In China, the western belt ranking system is completely disregarded, as ranking systems for martial arts vary around the world. In 1998 the Chinese Wushu Association, together with the National Sport Commission, as well as the Chinese Wushu Research Institute established their own ranking system called "Duan Wei" (Level), much like the Dan ranking system used in other asian countries. Students may test for their Duan Wei levels if they wish to do so while studying at the academy. The Duan Wei level tests will be held every few months along side monthly testing. All students shall test from level one and must have completed the time required in study to be eligible for the level they wish to obtain. There will be a fee for each level tested. There are Three categories in which the levels of which the Duan Wei system fall within: Beginner level practitioners, intermediate and advanced level coaches/masters. 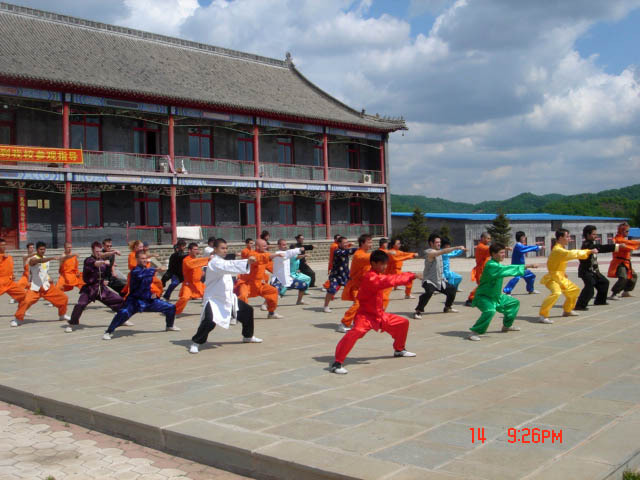 These levels are for those starting their journey in Chinese martial arts, one must attain the acquired skill and accumulated time in study in order to test for these ranks. If a student is dedicated to their studies, gaining much skill through effort and hard work, it is possible to gain a 1st, possibly a 2nd Duan Wei in one year of continuous study if they should pass the required examinations. One must be a full time student of Chinese martial arts between one to two years before they are allowed to test for the 3rd Duan Wei. Average students do not usually acquire their levels easily though, usually attaining one level per year of continuous study. These levels are for students and teachers of Wu Shu who are able to instruct and have undergone many years of study and/or coaching experience, depending on the level applied for. In order to obtain a 4th Duan Wei, the least amount of time required to apply for the test is two years of continuous, full time study. One must be able to be able to teach, be able to use their skills in combat and above all, practice good moral conduct to attain 4th Duan Wei. From 5th Duan Wei application onwards, there must be proof of either: Training of your own Duan Wei level tested students, publications, instructional DVDs, or scientific research in ones chosen martial art of study. After obtaining the rank of 6th Duan Wei, one may start to use the title of Master. 6th Duan Wei is also the highest technical grade. 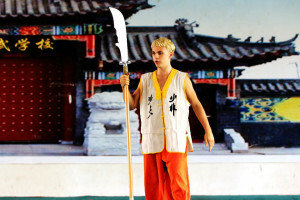 The prestige of these Duan Wei level ranks are reserved only for the rare few who have attained an excellent reputation through their practice and have done much work to promote their martial arts. These rare and lauded masters may officially use the term "Grand Master" when referring to their title. For those who make progress in their time of study, certification is available for those who wish to obtain it. Our academy gives a certificate to our students at the end of their stay, detailing the skills they have learnt in depth enough to be recognized by certification. For those who have made notable progress through the study of their martial arts, testing for an official Duan Level rank is available, certified by the Chinese Wushu Duan Wei System. The academy certificate is given at the end of a students stay, free of charge, but there are fees to test for each Duan Wei ranking.